A trail camera is not only used for game surveillance but also for security. Yes, what you use to hunt for prey can also be used to catch predators. In this case, the predators can be other wild animals, or if you are at home, possibly home invaders. Therefore, you should have the best trail camera for security. A good trail camera that is used for security should be one that can withstand the harsh conditions of the wild. At the same time, it should also be undetectable and easy to use. These qualifications can be hard to come across, but leave it to us to give you three of the best options. Today, we are going to take a look at three trail cameras and determine which one is the best fit for you. We are going to list down their features, as well as the pros and cons of using them in order to help you make a well-informed decision. Hopefully, by the end of this read, you will know which one can cover your back while you are stalking your wild game. Ready to know which one is the best trail camera for security? Then, keep on reading! 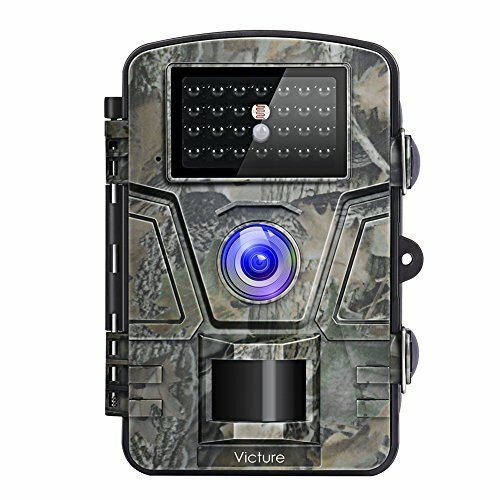 The trail camera of Victure is a best-seller, and it has claimed that moniker on its own right since its features are so versatile. They claim that they have the perfect balance between performance and functionality. So, let us take a look at the features that they are well known for. The Victure Trail Game Camera boasts high-quality resolution, thanks to its camera tech that captures 12 MP for images and 1080P for video. The photos that are captured during daytime are colored and bright, while the photos that are captured at nighttime are black and white. Additionally, its trigger time is very impressive at only 0.5 seconds. This camera’s best placement is at one meter to 10 meters from the subject. It is also designed with infrared technology and dimmed LEDs, which means that it won’t produce a flash when taking photos of the game. The IR filter is fully automatic, and there are 24 pieces of infrared, low-glow LEDs that are black. It is also rain-proof, dust-proof, and drop-proof. Lastly, it has a lot of modes such as interval recording, timer, time-lapse, time stamp, password protection, and a low battery alarm. The 2.4-inch LCD screen makes it convenient to view videos and pictures. Moving on to another trail camera, we have one that is known for its trigger speed. But before we discuss that, let us first take a look at the quality of the image and video capture of this product. The Zosi Trail Camera is capable of capturing 16 MP images and 1080P videos. In order to allow for easy use, it also has a lens that can turn at 110 degrees to give you a wider angle. 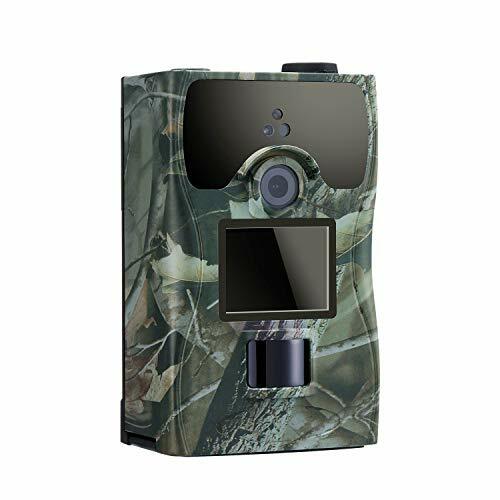 Moving on to its selling point, which is the trigger speed, the Zosi Trail Camera is designed to have a remarkable 0.2 seconds to 0.6 seconds trigger time. Accordingly, the PIR sensor also has a 90-degree wide angle potion. More than that, it can shoot with color during daytime and black and white at night. Further, it has a standby time that can last for eight to 12 months, so that is great power saving technology. It is also battery-operated—you can use either 4AA or 8AA batteries. As for the SD card, it can support up to 32GB. Lastly, it can be used outdoors for the temperature range of -30℃ to 70℃. The last trail camera we are going to take a look at is a combination of the two previous products we reviewed. It is mid-range because it can be used by both professionals and beginners. With that fact alone, we can conclude that its features are advanced but are still very easy to manage. Its camera can capture 1080P for videos with sound and 16MP for images. The images are colored during the day and black and white at night. Accordingly, you can set it up for three snapshots for every detection. As for its trigger time, it comes anywhere between 0.2 seconds to 0.6 seconds, which is kind of the same with the trail camera from Zosi. Further, it is equipped with a PIR sensor that can be turned at 120 degrees. Its IR filter is also fully automatic. The IR has a flash range of 65 feet, and it has 46 pieces of 850nm IR LEDs. Moreover, this trail camera is also IP56 waterproof and has a very low operating system for energy consumption. On standby mode, it can last for up to eight months. Lastly, its LCD is measured at 2.4 inches, allowing you to view the captured images and videos easily. There are multiple shooting modes that are just as easy to set up. All of the trail cameras that we reviewed previously are actually some of the best in the market. However, if we are going to choose only one, we suggest that you go for the Victure Trail Game Camera. It is fairly new in the world of trail cameras, but with its remarkable features, it immediately became a best-seller. 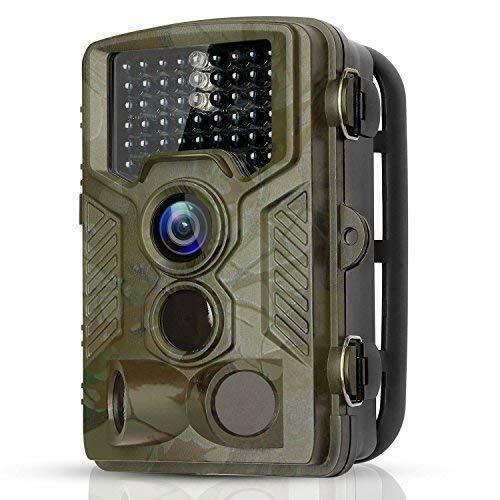 Truly, it has earned its spot to be called as such because this trail camera will capture everything that is within its range. Not only that, but it can capture clear images without a lot of modes set up on your part as well. Is it not amazing? You get optimum performance with just a bit of effort. With that said, do keep in mind that this product is not best for beginners. You should at least have played with a previous trail camera so you can appreciate the complexity of this one from Victure. Other than that, you will surely enjoy this trail camera.